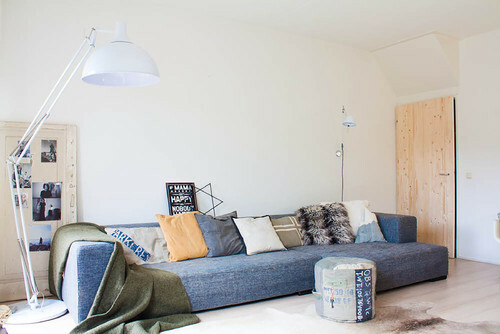 Denim has never really become a “thing” in the design world, perhaps due to its 70s vibe. 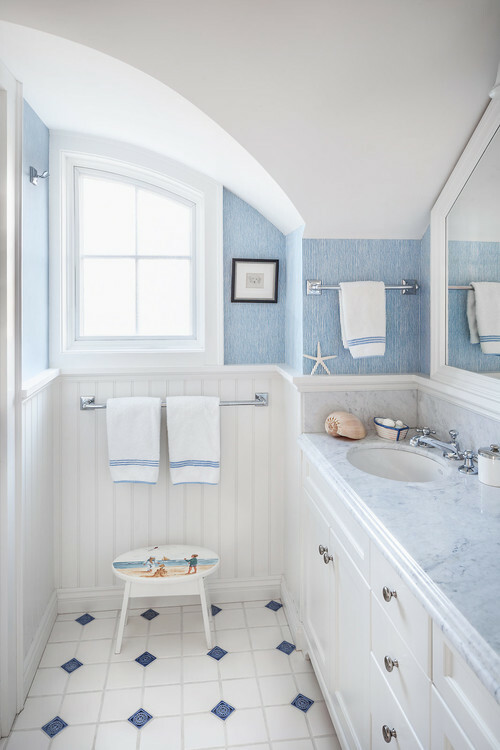 That’s unfortunate – it definitely has a place in homes of any and every style, when executed properly. Today, jeans are acceptable business wear in many industries. They can be dressed up or down, cool and sophisticated or casual and comfortable, slouchy or tight, stiff or stretchy, designer or bargain-basement. And they match virtually everything. 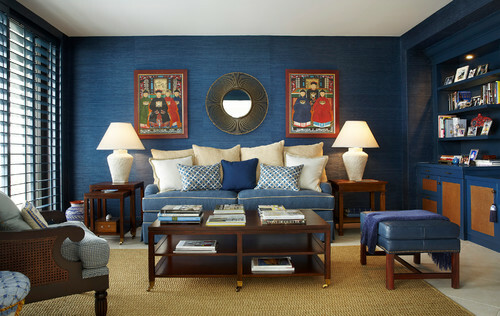 Those perks translate to homes, too: denim is not just for boys’ rooms or worn rustic sofas. 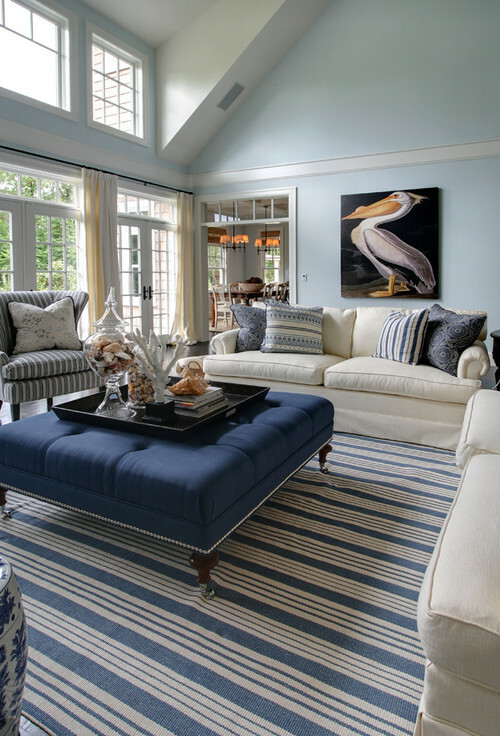 It works in elegant rooms and with beachy decorating schemes; it pairs well with neutrals and other blues as well as more vibrant colors. 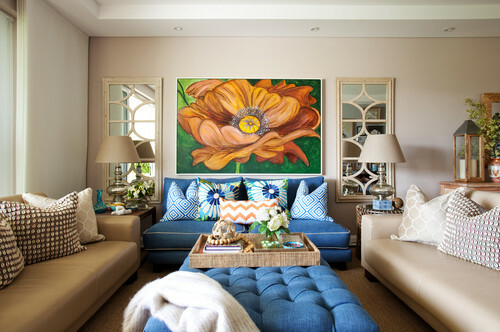 It’s available in all styles to echo every pair of jeans: comfy and worn, deliberately distressed, expensively chic. And the best part is, you’ll always be able to fit into these jeans! 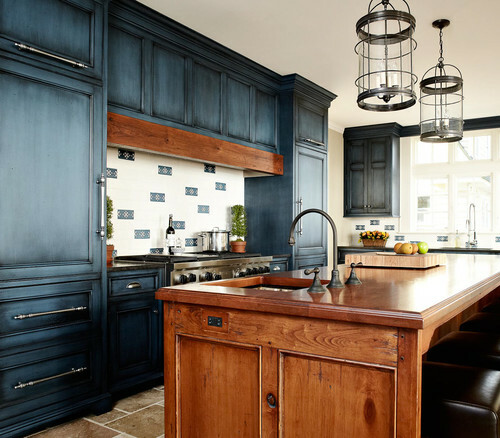 Try denim in any room – yes, even the kitchen. 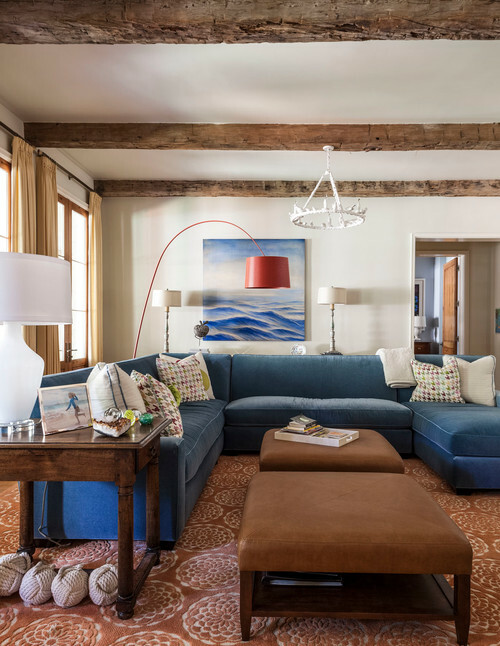 Family Room by StarrMiller Interior Design, Inc. 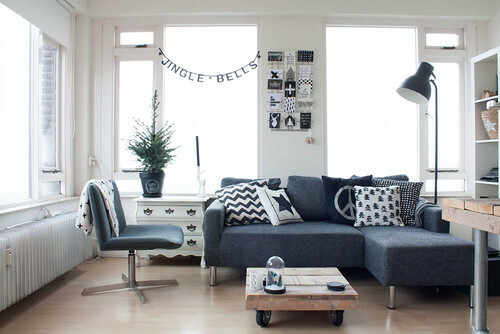 Living Room by AS you see it! 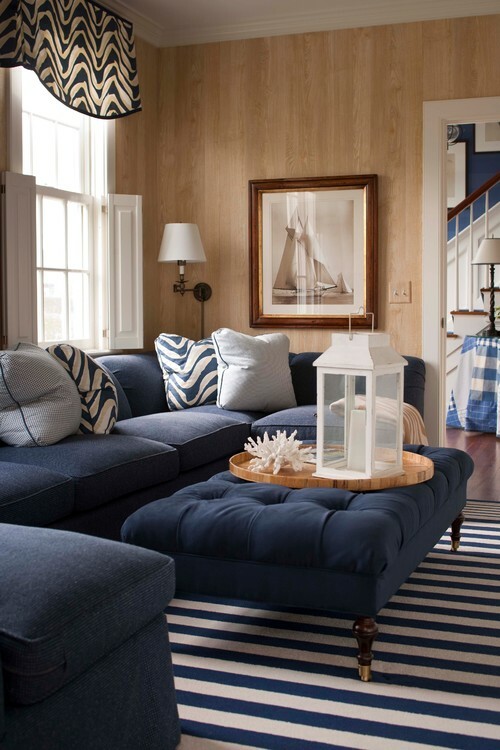 Living Room by Garrison Hullinger Interior Design Inc.
See? 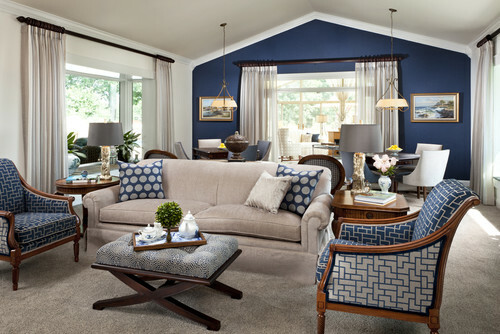 Light years away from hideous denim slipcovered couches. Time to get your denim on! Tell us about your favorite pair.